Ocean technology company Applied Acoustics has been evolving its structure to pave the way for future development. And the business, started by managing director Adam Darling 27 years ago, has been grateful for the support of Stephenson Smart during the re-shaping over the past year. “We have set up different trading companies under AAE Technologies as a holding company to help focus on specific areas,” he explained. 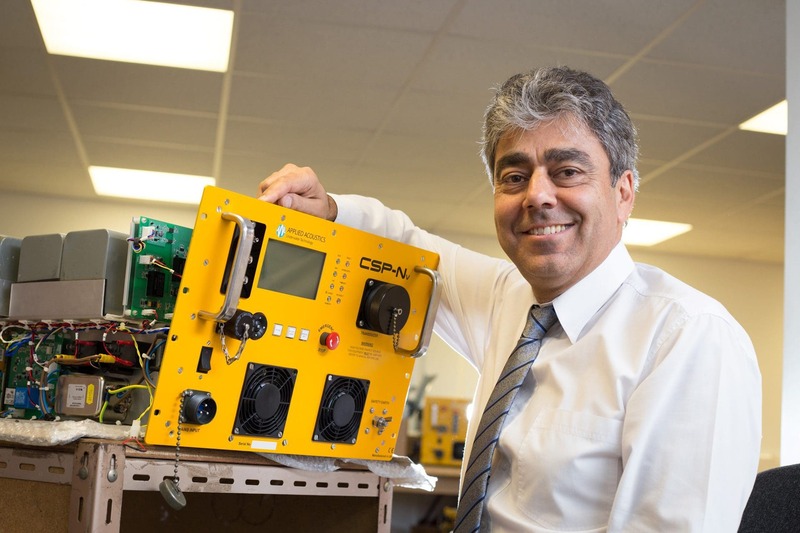 “Applied Acoustics will continue to design and manufacture its marine technology products. “However Ensign Sub-sea has been set up to focus on our defence market, including equipment supplied to navies to track mine disposal activities in areas such as the Gulf. “Modulus Technology is for specialist engineering projects such as underwater GPS receivers, and one-off projects which don’t fit in with our existing acoustic product range. “Stephenson Smart helped us through the process, we also rely on them for quarterly accounts, annual returns, tax matters, Companies House returns and general specialist advice as and when we need it. “They are very easy to deal with, proactive and quick to respond – and give very clear information with no jargon, making things very straight forward and easy to understand. Mr Darling and wife Tracey, who is company secretary, also use Stephenson Smart for their personal tax returns. Applied Acoustics employs more than 40 staff supplying marine equipment to a range of customers including oil and gas, windfarms, defence, and the academic sector of universities and research. Its products use acoustics and underwater soundwaves to help with positioning, navigation and data gathering, such as seabed geology analysis. Three quarters of its products, which are designed and made at their Gapton Hall headquarters in Great Yarmouth, are exported. The company was awarded a Queen’s Award for Enterprise in both in 2010 and in 2015 for its international trade. Adam Darling, Managing Director of Applied Acoustics Stephenson Smart has helped Applied Acoustics successfully restructure the company to meet the needs of clients in various industry sectors.